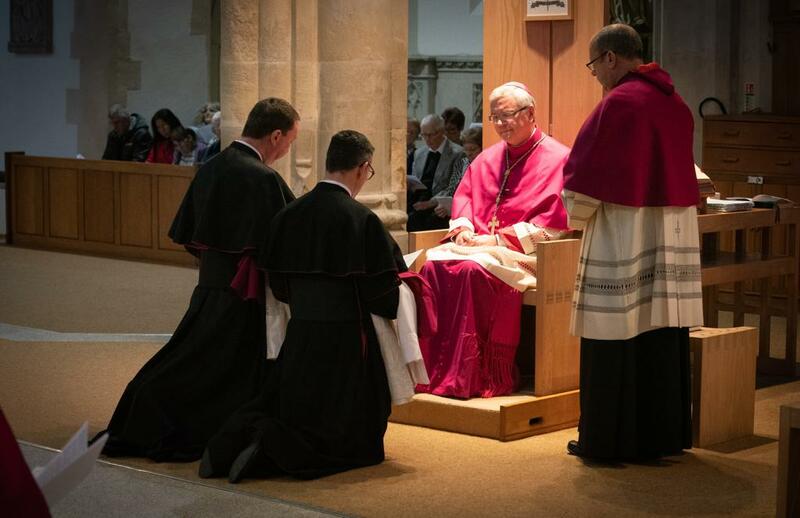 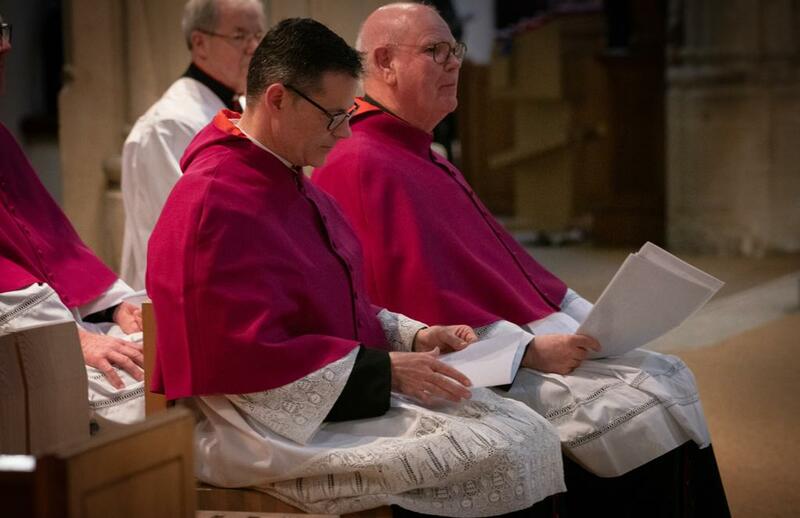 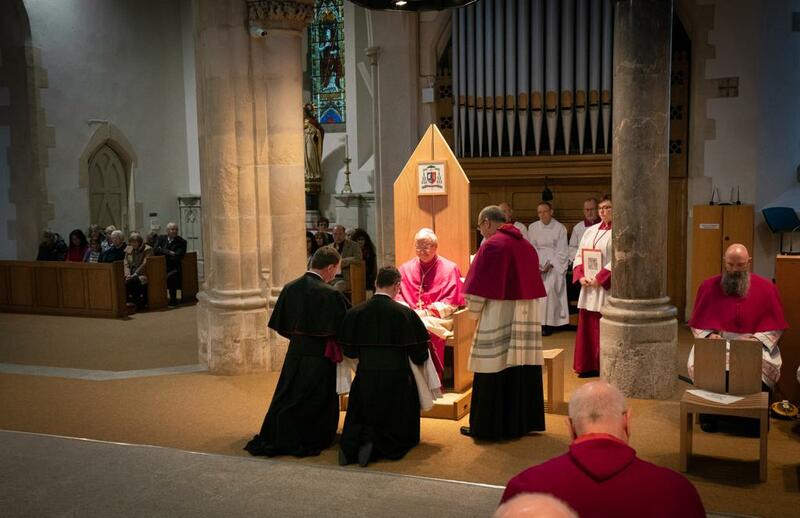 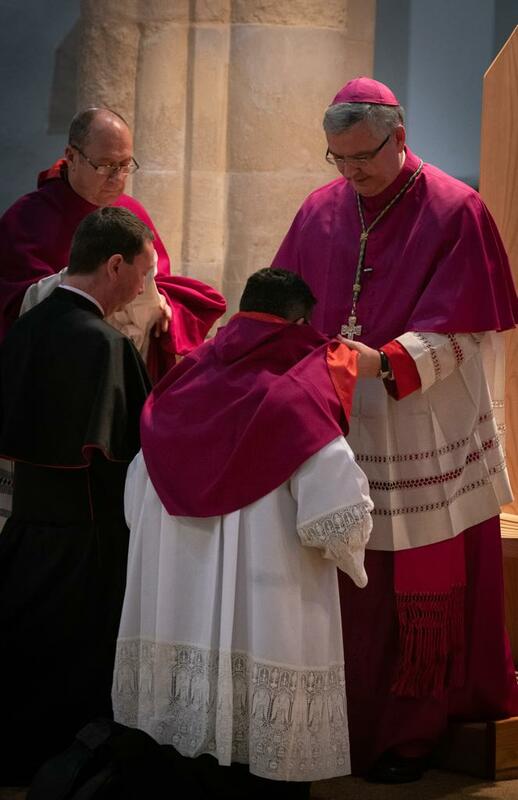 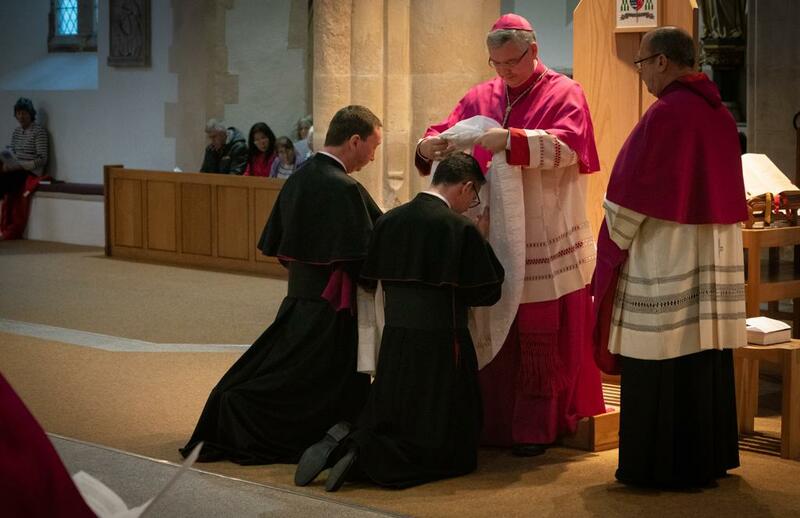 There was a full house at Plymouth Cathedral to see the Father Mark O'Keeffe, Father Peter Morgan installed as Canons of the Cathedral Chapter, alongside Father Philip Dyson who was installed as an Honorary Canon. 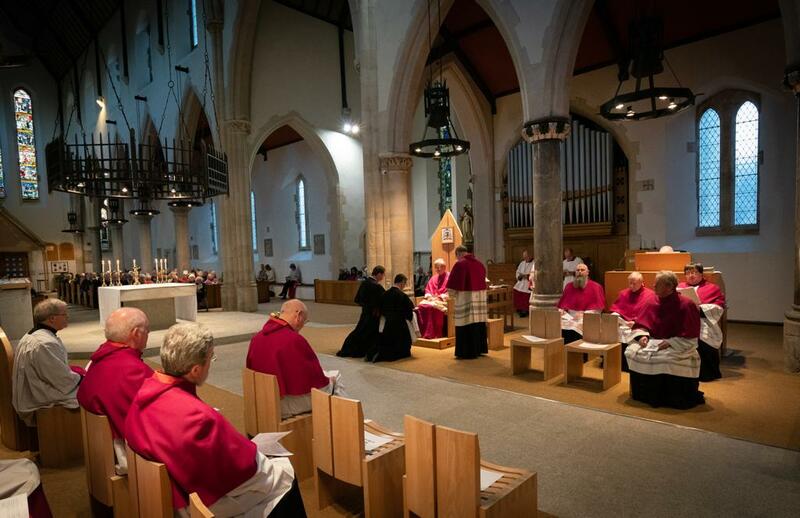 The Rt Rev Mark O’Toole welcomed the new Canons at Vespers on the Annunciation of The Lord, after which the new Canons concelebrated Mass with the Bishop and the Chapter. 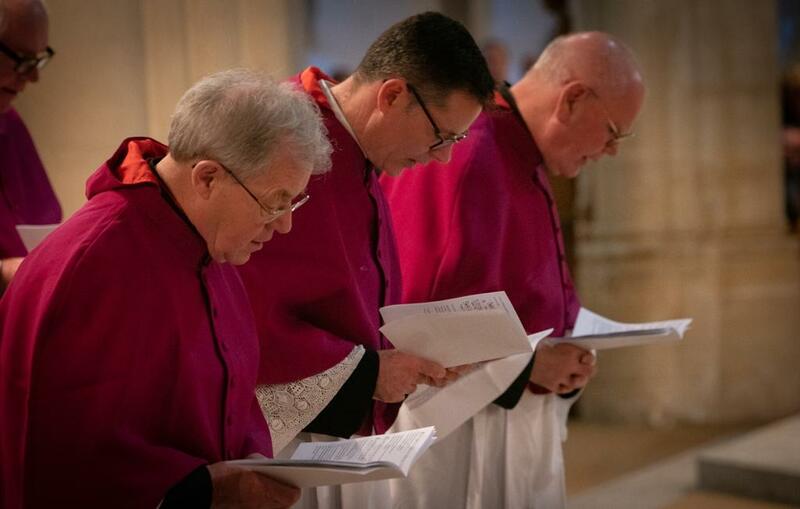 A Canon (from the Latin canonicus, itself derived from the Greek κανονικός, kanonikós, "relating to a rule", "regular") is a member of the Cathedral Chapter. 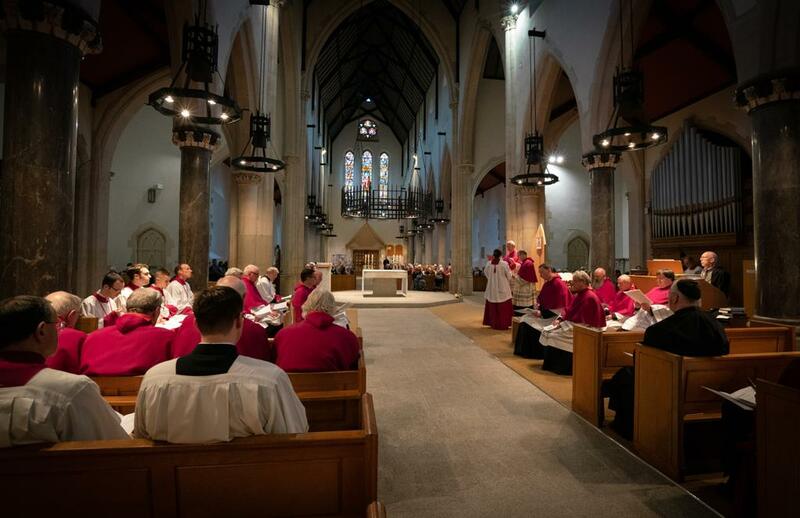 If you'd like to learn more about the Cathedral Chapter please click here.